Time for a recap of the movies I saw this past year, highlighting my favorites. You can find a full list of ALL of my movie reviews (these recent ones plus past years) under the Movie Reviews tab. We watched a total of 25 movies in 2017, a few more than we saw in 2016, in a nice mix of different genres, though no family movies (kids are grown now) or documentaries last year. Nine of the 25 were book adaptations! You can see the full 2017 list below, with links to my reviews - no spoilers here! Though I'm not as big a fan of action/suspense movies as my sons and husband, we all enjoyed this one, and I especially liked how clever its plot was. 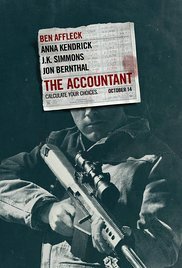 Ben Affleck was excellent in this film as an autistic accountant to crime families. An easy choice, though we watched a lot of good dramas in 2017. This one has everything - warmth, humor, and thought-provoking ideas plus a magnificent cast. Even better, it is totally unique. We only watched two comedies this year, and both were lots of fun, but this one that I watched on my own stood out, mostly because Marcia Gay Harden was just fabulous in it. 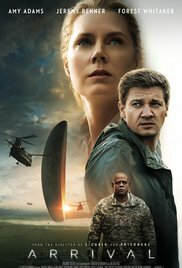 We love sci fi movies, but this one really stood out, with excellent acting, a unique plot, amazing visuals, and mind-bending twists that leave you thinking long after it's over. I want to watch it again! Granted, it was the only musical I saw in 2017, but it would be deserving of the "best" title anyway - lots of fun, warmth, and great music & dancing. 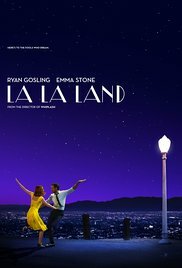 What were your favorite movies watched in 2017? You see a lot of movies; that's so great! I have gotten sucked into Netflix series more than movies in the past year. I added The Circle to my list of "to see" movies. This is about half as many as we used to see in a year, Helen! We are also watching WAY more TV shows - so much good stuff out there now. 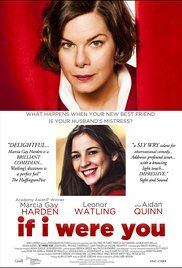 I want to watch If I Were You and a few others after reading this post. That was a fun one, Vicki! Enjoy! 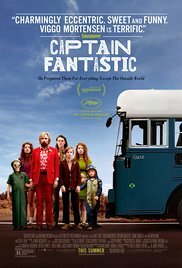 Wow, I haven't seen any of your favorites (and only a few of the others....the Last Jedi is the only listed we saw in the theatre), but I do want to see Captain Fantastic as it is filmed in my neck of the woods. Oh that's right Melinda! It's SO good. And so are all the others!